The best form of home by feng shui is a square. Immediately behind square followed a balanced rectangle but not too elongated. Buildings and houses in the shape of X, L and U in feng shui considered as unfinished, so don't choose this as basis for future home. Large building on stilts doesn't provide enough stability to users, while low buildings surrounding tall buildings has no energy to move forward. In feng shui the best solution is to avoid buildings facing with the sharp edge of large buildings or to the building with glass windows in a matte finish. Ideally, choose a facility that shape corresponding to the element of life’s Trigrams of person. Thus, for a person whose life trigram is East 3, Chen, the best choise is tall building as well as those of corrugated design. 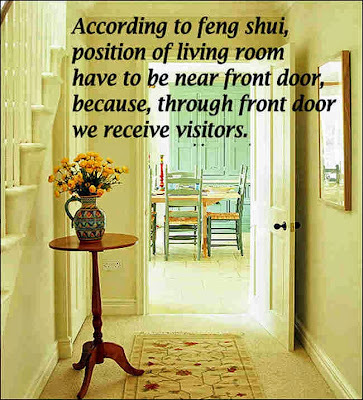 · What should be avoided by feng shui? When choosing a house or building, the first thing to note is that the living space is not too dark. High trees in front of windows or doors can block the energy and so to the house, apartment or building commits too many ,,yin’’ energy known as Yin Sha. This means lower vitality and activity. The entrance to the house or building indicates how much energy the tenants receive, because it affects the prosperity of all. Advertisement area in front of the entrance can get bad influence on the structure of the building during some years. It is also important that the input is in proportion to the size of the building - a larger building needs more energy, so it needs the higher input. Apartment in a building is selected based on several criteria. Some of the topics for reflection are - the layout of the apartment, what can be seeing from every room, on which side window watching and other. Perspective from every room should be clearly defined, in order to free energy unimpeded through them into the apartment. Access to the apartment should be clean, walk able, backlit, so the energy can't be blocked or ,,choked’’. 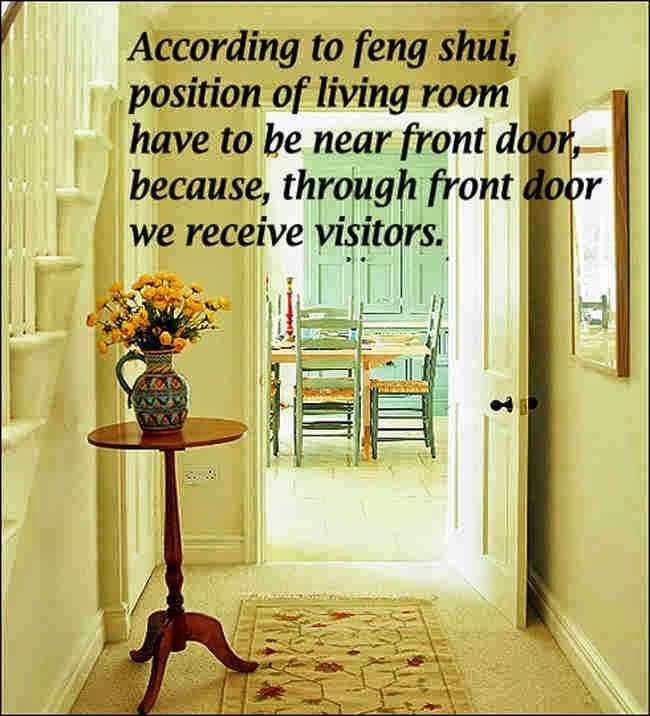 According to feng shui, position of living room have to be near front door, because, through front door we receive visitors.